When Sarah with Advocare contacted me and asked if I wanted to try their best selling energy drink mix Spark, I was all over it. She is the sweetest girl and is a fellow Aggie and military spouse...love it! I had heard great things about Advocare and even greater things about Spark, so I was anxious to see what all the fuss was about. "AdvoCare Spark® Energy Drink mix is a unique multi-nutrient system that's designed to provide nutritionally advanced, long-lasting energy and enhanced mental focus. Its 21 vitamins, minerals and nutrients work synergistically to give you healthy, balanced energy without making you jittery like other caffeinated beverages." I could drink this mix all day, and I felt great through the last half of my work day. Not only did it give me energy, but it curbed my usual afternoon hunger, and I was able to concentrate on working without fighting the urge to make a trip to the pantry. 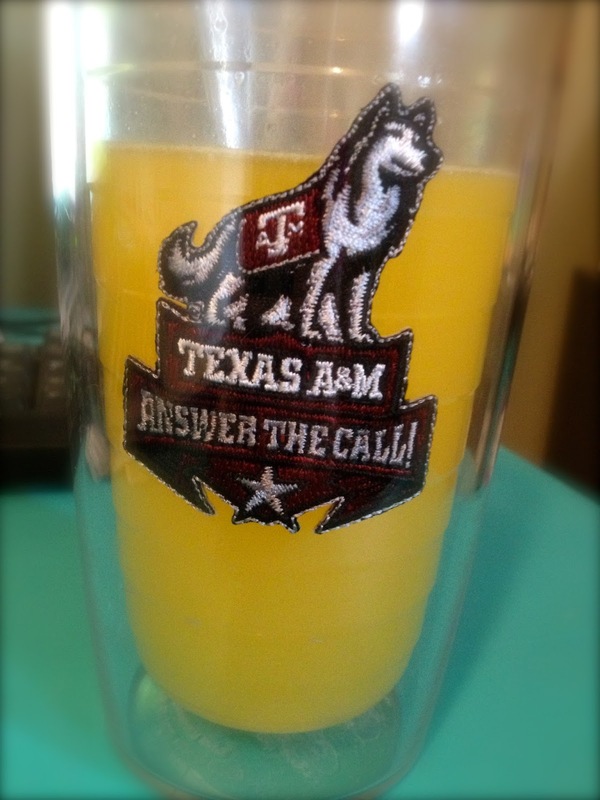 I tried it with orange juice a couple days later, and it was even more delicious than the first time. I really liked Spark and recommend it if you are in need of an extra energy boost or just want to try a delicious-tasting drink that happens to have added health benefits. 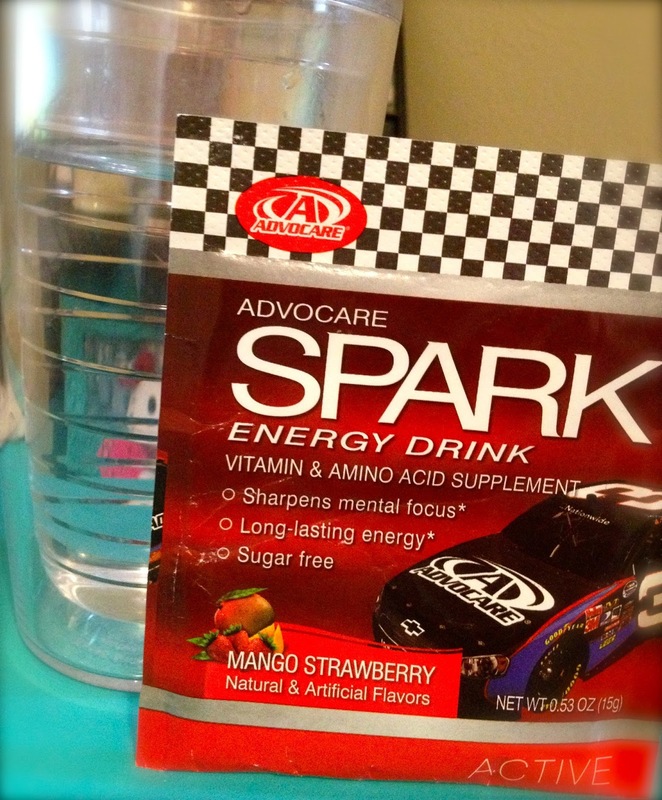 Combine the added energy and great taste with the fact that it's 45 calories per serving, and Spark hits the trifecta! Visit Sarah's website or contact her if you have any questions. She's a sweetheart and would love to help you! Disclosure: I received this product free in exchange for my honest review. All opinions are my own. I've been wanting to try that stuff!!!! Glad to hear more good reviews!